St. Louis has been eliminated in the first round of the playoffs in each of the last three seasons after being one of the best regular-season teams each year. In fact, the Blues have the most points (389) of any NHL team over the last four years but have won only one playoff series in that stretch. At the beginning of the offseason the Blues considered making a coaching change, despite the elite regular-season success, but eventually decided to renew coach Ken Hitchcock’s contract for one year. Once this was decided, in order to confront and attempt to overcome St. Louis’ persistent first-round road block, the Blues decided it was time to make personnel changes to the lineup. There were rumors involving many members of the team’s core, including defenseman Kevin Shattenkirk, captain David Backes, center Patrik Berglund and winger T.J. Oshie. Ultimately, Oshie was the one to go. With veteran defenseman Barret Jackman moving on to Nashville and Oshie in Washington, the Blues will have a slightly different lineup this year. However, most of the core remains; it will just be a matter of whether the offseason additions will be enough to find the postseason success that has alluded St. Louis for the past several years. The T.J. Oshie trade was a surprise to many in the hockey world, especially since Oshie has tremendous skill and plays a tough game, not to mention he was a fan favorite in St. Louis. Oshie posted 60 points in the 2013-2014 season and followed it up with 55 points this past year. Despite his skill and special adeptness in the shootout, perhaps management felt Oshie wasn’t truly living up to expectations. It’s important to note that Oshie, along with most of his teammates, failed to come up big in the playoffs. In the last three postseasons Oshie has an average of two points per series. He has accumulated nine total points in 30 playoff games. Even if Oshie was not the problem or was not alone in his inability to produce in the playoffs, the Blues decided to shake things up a little bit and decided to move Oshie to Washington for a package of assets, the most significant asset being right winger Troy Brouwer. The Blues have been able to strengthen the team’s depth and flexibility, especially over the past year or so, through free agency and player development; this has put St. Louis in a position where losing an asset of Oshie’s caliber doesn’t take the team out of Cup contention. 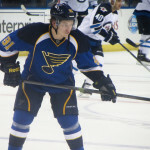 With the emergence of superstar right winger Vladimir Tarasenko, who signed a massive 8-year $60 million contract extension less than a week after the Oshie trade, the crop of talented young forwards such as Dmitrij Jaskin and Jaden Scwartz, as well as last offseason’s additions of centers Paul Stastny and Jori Lehtera, St. Louis can now afford to move a core member of the team, even a top-line player like Oshie. Though Stastny underperformed and spent a fair amount of the season as the third-line center, Lehtera shined in his first NHL season, scoring 44 points in 75 games as part of the Blues’ most effective line (along with wingers Schwartz and Tarasenko). The Blues have many lineup options for the upcoming season to accommodate for the loss of Oshie, especially considering Brouwer is not a replacement for Oshie. For example, the Blues could consider moving David Backes to the right wing and moving Stastny up to center the top line, allowing the Schwartz-Lehtera-Tarasenko line to remain intact; a Steen-Stastny-Backes line would also preserve the chemistry between Steen and Backes. Alternatively, Tarasenko could be moved to the right wing slot on the top line with Steen, regardless of who fills the top-line center position (Stastny or Backes). No matter what, line combinations will be affected by forward Patrik Berglund’s injury, as he will miss at least the first few months of the season. The Schwartz-Lehtera-Tarasenko line was St. Louis’ most effective line in the 2014-2015 season. However, even if the team could afford to do so, one might wonder why the Blues would move Oshie, a top-line player who scores 50-60 points a season, for Brouwer, who will most likely play a third-line role and contribute around 40 points. There are many reasons why the Blues were interested in Brouwer. For one thing, Brouwer has veteran experience and won a Stanley Cup with the Chicago Blackhawks in 2010. The Blues clearly have the talent to be successful in this league but have been unable to translate that into postseason success, something with which Brouwer could conceivably help. Brouwer may also provide a calming presence in the locker room, which could be beneficial, especially in the playoffs. 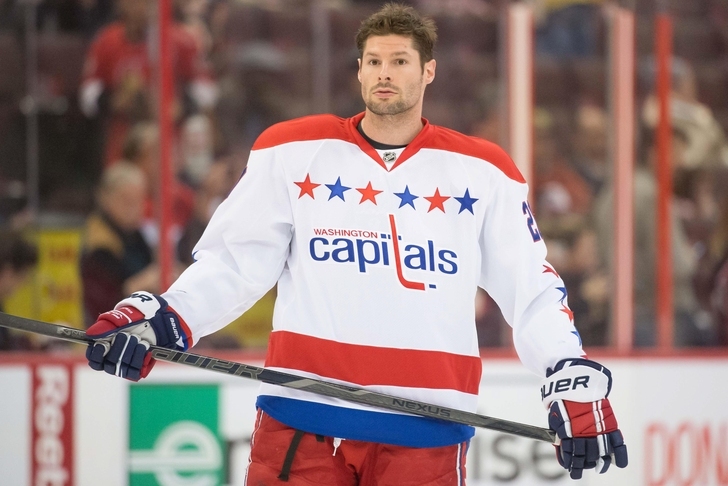 Though Brouwer has not made it out of the second round of the playoffs since signing with the Capitals after winning the Cup in 2010, he has seen what it takes to win in the playoffs and offers that stabilizing experience to a locker room so seemingly plagued with playoff hesitation. However, even though Brouwer is generally a consistent 20-goal scorer (he scored 21 goals and added 22 helpers last season with the Capitals), he does not have the playmaking or difference-making ability that Oshie has. Even if the loss of Oshie’s production only affects the Blues by 20-25 points, the team still lost a first-line player and gained a middle-six forward who has not necessarily stepped up in the playoffs lately and who has been playing on a team that, like the Blues, has come up short year after year in the playoffs. Moving Oshie for Brouwer+ does benefit the Blues financially, though. Brouwer comes with a slightly lower cap hit ($3.666 million) than Oshie ($4.175 million); also, Brouwer’s current contract will expire at the end of this season, whereas Oshie has an extra year on his deal. The trade offers St. Louis a little bit of flexibility for next offseason when several players will be free agents, including Backes, Schwartz and Jaskin. While this is a very reasonable benefit of the trade, the cap relief for this season isn’t significant enough to explain why the Blues couldn’t have waited until next offseason to move Oshie if a better deal wasn’t available. Though the Caps also included a third-round pick and a goalie prospect, at the end of the day the Blues gave up too much in this deal. In Brouwer’s 35 playoff games with the Capitals he has a total of nine points. Those numbers are fairly comparable to Oshie’s, even if Oshie’s are slightly better (nine points in 30 playoff games); however, Brouwer scored only 10 points in 43 playoff games in his five-season stint with the Blackhawks. In any case, the Blues cannot expect a significant increase in playoff production out of this deal. Even if the Blues believe Brouwer will provide other intangibles that Oshie did not offer, that doesn’t mean Brouwer will put the puck in the back of the net, which, more than “experience,” is what the Blues actually need help with in the postseason. Over the past three years, the Blues have failed to score more than 14 goals in a single series; all three first-round series have been decided in six games, which means the Blues have averaged 1.667, 2.333 and 2.333 goals per game over the past three postseasons. Though the outcome of hockey games and series can never be determined or explained by one factor, for comparison’s sake, consider each of the Stanley Cup-clinching runs over the past eight years: the Cup-winning team has maintained an average of at least 3 goals per game in six out of eight of those runs. The first of the two exceptions is the Kings’ win in 2012, when the team averaged 2.85 goals per game; however, Conn Smythe-winner Jonathan Quick played out of his mind in net, finishing with a 1.41 goals-against average and a .946 save percentage, which could account for the lower goals-per-game average. The other exception is the Blackhawks’ win in the 2013 playoffs, where the goals-per-game average was 2.78; however, 2.78, the lowest goals-per-game average of any Cup-winning team over the past eight seasons, is still much higher than the Blues’ highest average of 2.333 goals per game. In fact, dating all the way back to just after the 2004-2005 lockout, not one team has won the Cup without scoring an average of at least 2.76 goals per game in the playoffs (Carolina in 2006: 2.92; Anaheim in 2007: 2.76; Detroit in 2008: 3.27; Pittsburgh in 2009: 3.29; Chicago in 2010: 3.55; Boston in 2011: 3.24; LA in 2012: 2.85; Chicago in 2013: 2.78; LA in 2014: 3.38; Chicago in 2015: 3.0). Even though there is so much more that goes into any given game or series, and even though scoring goals does not necessarily mean a team will advance, teams simply cannot expect to advance in today’s NHL, let alone compete for a Cup, by scoring 2.333 goals per game. It’s clear that the Blues have a team-wide issue with producing in the playoffs; Oshie was merely a symptom of a much, much larger playoff problem in St. Louis. In the end, St. Louis made a trade out of apparent desperation and pulled the trigger on a deal not worthy of completion. The team was desperate to change something but may have just made a change for the sake of making a change. The Blues’ playoff troubles will not be erased just by getting rid of Oshie and “replacing” him with someone who has more “experience.” The organization can’t get past the first round despite being one of the league’s best regular-season teams every year. When it comes down to it, this trade will most likely fail to help St. Louis address its recurring playoff struggles, and the team failed to acquire equal value in the deal. 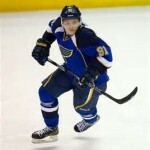 Blues’ winger Vladimir Tarasenko is an explosive player at age 23 with seemingly endless upside and potential. He scored 73 points in 77 games last season, including 37 goals and 36 assists. The Russian-born forward, taken 16th overall in the 2010 draft, ranked fifth overall in the league in goals, tenth in points and seventh in plus/minus. Tarasenko was also the most productive forward for the Blues in the playoffs this year, scoring 6 goals and adding 1 assist for a total of 7 points in 6 games; only defenseman Kevin Shattenkirk finished with more playoff points (0-8-8). In addition to his on-ice contributions, Tarasenko has impressed management with his mature off-ice attitude. Tarasenko has expressed disappointment with the team’s playoff performances and has also maintained a team-first mentality despite his individual success. “Right now we have three years in a row, same style of losing,” Tarasenko told NHL.com at the NHL Player’s Media Tour in early September. 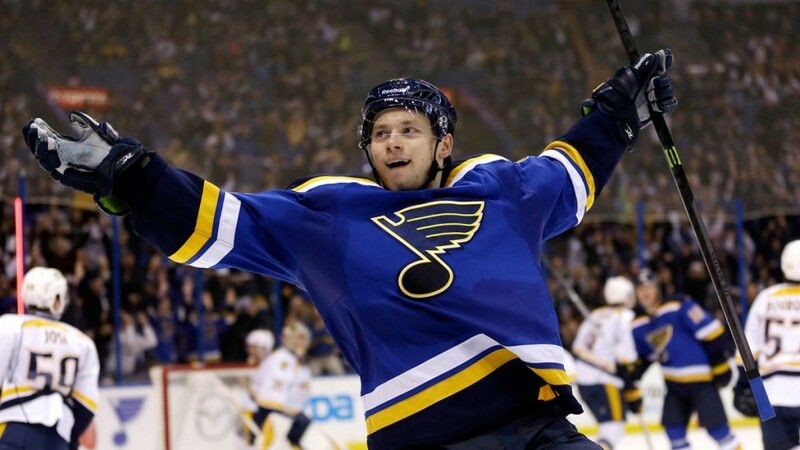 The Blues rewarded Tarasenko by signing him to an 8-year $60 million contract. While this is a huge commitment by a team to such a young player with only three NHL seasons under his belt (including the lockout-shortened 2012-2013 season), the Blues wisely made sure to retain Tarasenko with the longest-possible contract length at a relatively reasonable yearly cap hit of $7.5 million. Even though he is young, Tarasenko is one of the most lethal players in the game and continues to improve the more he plays. He aspires to reach 50 goals this season but puts the team’s success ahead of his personal milestones. 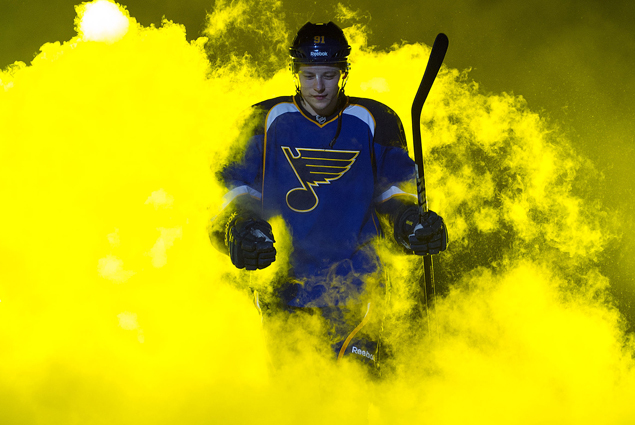 It seems as though the sky is truly the limit for Tarasenko. It is difficult to know for sure how lines will shape up after training camp and the preseason. It was initially believed that center Jori Lehtera would miss the beginning of the regular season after having ankle surgery August 4, which originally established a recovery timetable of 6-8 weeks. However, Lehtera is ahead of schedule and is planning to play in a preseason game, which is an excellent sign for the Blues. 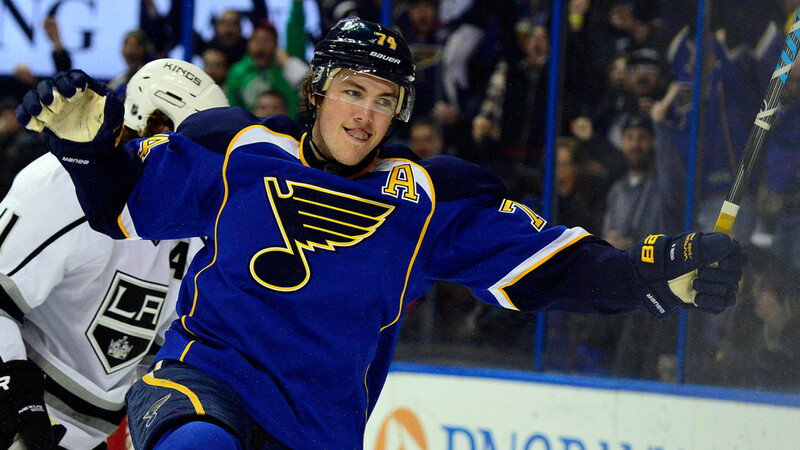 With the departure of T.J. Oshie, the Blues could employ several different line combinations. However, since Patrik Berglund will be out for at least several months, the Blues may be forced to split up Stastny, Backes and Lehtera, rather than using Backes on the wing. It’s hard to say at this point if prospect Robby Fabbri or even Ty Rattie will make the team out of training camp. Newly-acquired Troy Brouwer is a middle-six forward who should be playing right wing on the third line but could move up because of injuries. Scottie Upshall, an effective bottom-six forward with energy and a scoring touch, is in camp on a PTO and could make the team; he would be a good third-line fit for the Blues. 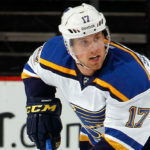 It’s also possible that one or two of the young defensemen in the Blues’ system, including Petteri Lindbohm, Colton Parayko and Joel Edmundson, could make the team, especially because of injuries to defenseman Carl Gunnarsson (Robert Bortuzzo was also injured but is expected to suit up in the preseason). Explain in the comments below! 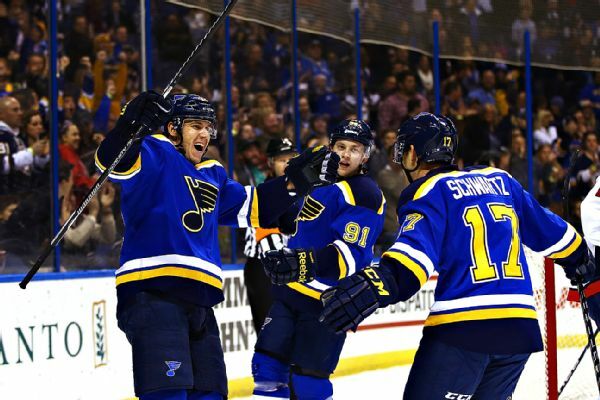 The St. Louis Blues will put together another impressive regular-season campaign in the 2015-2016 season. 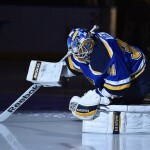 The goalie tandem of Jake Allen and Brian Elliott, the depth down the middle with centers Paul Stastny, David Backes and Jori Lehtera, the mix of veteran leadership and young talent, along with superb defensemen Alex Pietrangelo and Kevin Shattenkirk, make the Blues an automatic playoff team. Depending on who makes the team out of training camp, the Blues could have a more youthful team this season. Even if prospects Robby Fabbri and Ty Rattie don’t make the team, the Blues will still have enough young talent to maintain a competitive edge in the tough Central Division. 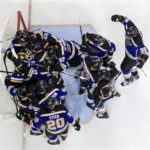 St. Louis will most likely feature a young propsect on defense with the departure of Barret Jackman, but assuming the St. Louis blue line can remain healthy, the Blues will continue to have a strong defensive-minded team under head coach Ken Hitchcock. The Oshie-Brouwer “swap” was a way for the team to shake things up after multiple years of first-round playoff exits, but it’s unlikely that this trade on its own will come close to fixing the Blues’ postseason issues. There is still a lot of hockey to be played, however, so anything is possible. Stay tuned for offseason overviews of all 30 NHL teams. Hart Memorial Winner….. I say Vladimir Tarasenko!